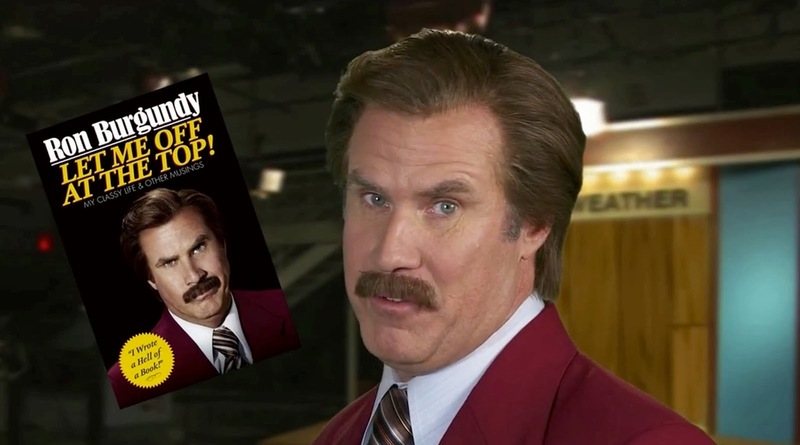 Lovers of the Anchorman films and the unique brand of humour brought to life through Ron, Champ, Brian, and Brick will likely enjoy this immensely*. "You might as well chisel this baby in stone, because what you are holding is a perfect unchallengable chronicle or American history and personal narrative. You are welcome." However, when I first deigned to watch Anchorman with Adam, I laughed like a drain. Brick might be my favourite character; Steve's Carrel's sincere portrayal of his unfailing stupidity solidifying it as an excellent comedy role in my eyes. But this is not a film review. As with most comedic books, there are moments which are weaker, though the nature of it is such that it's easy to dip in and out and still enjoy the experience. This is definitely one for fans of the film. *If you hate misogyny, stupidity, and violence there is a chance you won't enjoy reading this.